Even with the knowledge of Newtonian physics and computer modeling the behavior of Brunelleschi’s dome is difficult for modern engineers to understand. At the time of construction, Brunelleschi would have relied on his personal experience constructing similar masonry structures and the use of physical modeling. 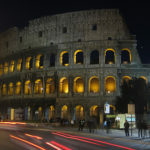 It’s also said that he traveled to Rome to observe the techniques of the ancient masters before completing his design of the Cupola. The Cupola is actually an eight-sided dome with an interior and exterior membrane. The space between the faces allows stair access to the top of the dome while also reducing the overall weight of the structure. Large pilasters are located at the corners of the octagon and intermediate piers and beams provide further stiffening of the structure. The overall slope of the dome is steeper than Romanesque construction in part to reduce thrust on the supporting drum and to lessen the flat portion near the apex. 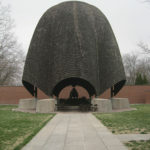 A solid compression ring is located at the top of the dome while several iron-linked stone rings provide a questionable amount of tension resistance at various elevations of the dome. 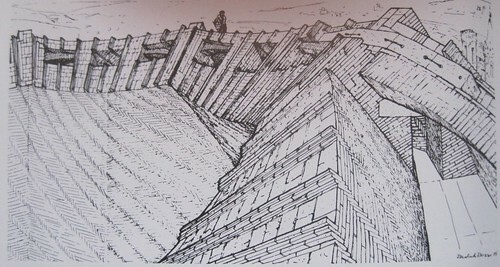 Some earlier observers of the structure have suggested that the shape follows a catenary, in which case the entire masonry structure would see only compression stresses at least in some portion of the cross section. A closer examination of the geometry and the formation of full-thickness cracks along four sides of the dome disprove the catenary theory. There are sections of the unreinforced masonry that resist some amount of bending moment. The dome’s geometry and thickness would have been agreed upon by Brunelleschi and his contemporaries on the basis of scale model behavior. Unfortunately, the strength of materials is not directly scalable as Galileo proved two centuries later in his treatise entitled ‘Discourses and mathematical demonstrations concerning two new sciences pertaining to mechanics and local motions.’ Galileo initiated the modern method of comparing strength of materials to the internal stresses developed. The weight of a material is a function of its density and volume, expressed in a unit of length cubed. Material strength on the other hand is evaluated based on the cross sectional area (length squared). Researchers doing scale modeling today would artificially inflate the measure of gravity to report scaled-up results. The same inconsistency regarding scale applies to deformations to an even larger extent. Nevertheless, Brunelleschi’s design has withstood the test of time, owing in large part to the quality control of building materials and techniques of construction. 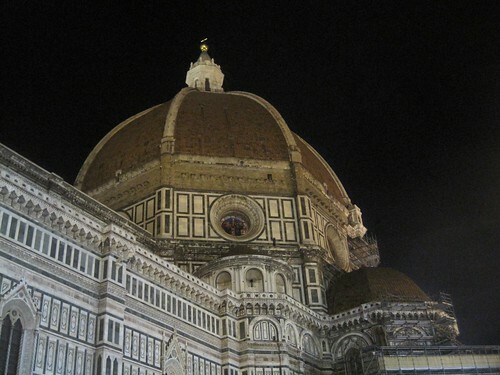 It is said that Brunelleschi was on site nearly every day throughout the 16-year construction of the cupola. He is known to have held his workmen to exacting standards. Contractors who did not perform to spec in any given season were dismissed and blacklisted from future work. Likely trained through apprenticeship, Brunelleschi knew the details of masonry construction. The genius of his design for the cupola is buried within the intricate bricklaying of the structure. Brunelleschi was able to realize construction without centering, shoring of the unfinished masonry arch, through the use of a herringbone brick lay-up. In this pattern, vertical courses placed regularly between regular horizontal courses. This lay-up “locked-in” adjacent brickwork. Provided that the eight sides of the dome were constructed concurrently, the dome would be self-supporting. Although the herringbone lay-up was already a known construction technique for masonry domes, the work at the Cupola was groundbreaking in scope and precision. The slack-line method of orienting the mortar joints was another procedure innovatively applied in the construction of the Cupola. Typically, each masonry wall course is a level horizontal. However, since the eight sides of the Cupola must be slightly angled in order to connect at the apex, the plane of each side’s mortar bed is at a different angle. At the corners, they would intersect at a skew which could have resulted in stress concentrations. Brunelleschi understood the importance of the corner pilaster and took care to avoid such localized discontinuities. The slack-line lay-up that he implemented allows the mortar beds to arrive at each corner on the same plane. This means that each continuous course must be slightly curved, like the slack in a line of rope. The geometry was extremely complicated, and Brunelleschi’s team worked without the advantage of today’s laser levels and positioning devices. Brunelleschi was not known to let a gap in technology slow him down. Like the Renaissance masters that would follow – Leonardo Da Vinci was known to have examined Brunelleschi’s projects for inspiration – the builder of the Cupola designed new machines to build better and faster. At a time when progress on cathedrals was measured in decades, if not centuries, Brunelleschi completed his dome in just 16 years. Maintaining the material stores on site was a major priority for avoiding work stoppages. During construction of the Cupola, Brunelleschi noticed that a significant amount of the marble he needed was being damaged en route. Transferring the large blocks from ship to shore appeared to be the principal culprit. Brunelleschi therefore designed a barge with round paddle wheels that could also serve as wheels on ground. This amphibious vehicle enabled a seamless transition up the slip, thereby eliminating excess handling. Hoisting brickwork up to the leading edge of the construction was also critical to maintaining the completion schedule. The main hoist would have been powered by a team of oxen. After a load had been delivered to the top of the work platform, the oxen would have to be re-yoked in the opposite direction to safely lower the palate, then again re-yoked to turn in the lifting direction. Brunelleschi is credited with inventing a multi-speed hoist that could be thrown into up- or down-mode without changing the direction of the marching oxen. A series of suspended work platforms were necessary to continue the work on the advancing edge of the dome. Smaller hoists were used to move material between the platforms and out into position. 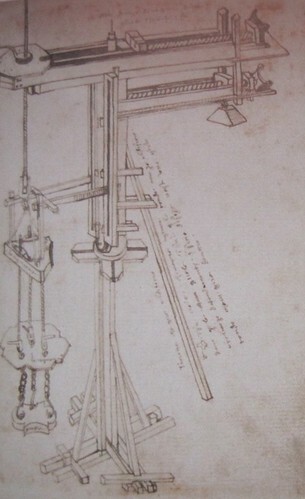 Brunelleschi also devised hoists with ratcheting fail-safes to prevent falling loads and adjustable counterweights to safely deliver material into position. Ahead of his time, safety was a concern on Brunelleschi’s job site. It seems that alcoholic beverages were also restricted during the work day. Despite such careful consideration and attention to detail, imperfections were inevitable in such a massive undertaking. It’s likely that the dome began cracking almost immediately upon completion. 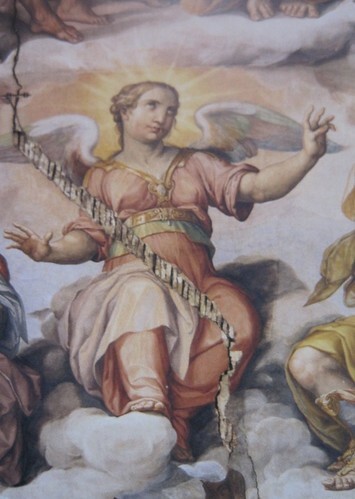 Some of the interior frescoes actually incorporate the cracks in order to minimize the appearance of the cracks. Documented studies over the last 500 years show that the cracks have grown and separated to several centimeters in width today. In the early 1990s, analysis was performed by the Italian national power board (ENEL) and Florence University’s Department of Civil Engineering in order to assess the cause for concern in four full-depth cracks observed in the Cupola. The analysis confirmed the structural behavior of the Cupola. Many areas of the dome must actually resist bending forces, consistent with typical indeterminate dome behavior. The top of the dome contracts from net compressive forces while the bottom of the dome wants to expand. Flat arches between the corner and intermediate pilasters must resist bending and shear. Computer analysis cannot really capture the effects of the herringbone and slack-line lay-up. If anything, we can assume that these construction methods enable the membranes of the dome to behave more homogeneously than conventional masonry construction. 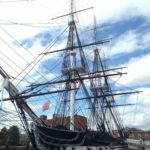 Interestingly, the recent study places a majority of the blame for the four major full-depth cracks on the design of the drum on which the Cupola sits. The drum is octagonal in shape, but it rests only on four piers. The sides of the drum that must span between the piers have very large circular windows through their entire section. There has been speculation that the openings were intended to reduce the weight of the structure in addition to allowing light into the cathedral. The unintended effect of this design decision, however, is that the support for the cupola does not have uniform stiffness. Nor did the design of the drum respect the peculiarities of deep beam behavior. Without any embedment of tension metal, cracking was inevitable. The outcome of the cracks makes the resilience of the Cupola even more impressive. 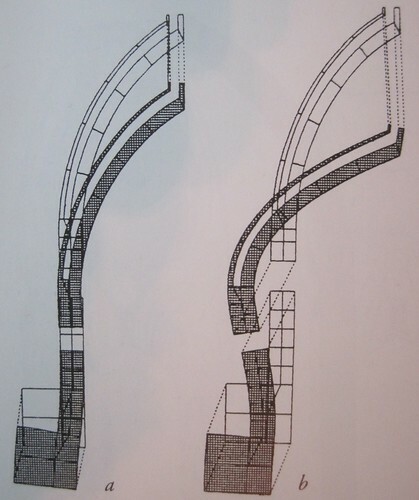 Redundancies in the design (interlocking masonry, stone hoop rings, intermediate pilasters, dual shells, etc.) have provided an alternate load path for the structure. Recent studies have concluded that the static stability of the Cupola is not at risk. However, the effects of a major earthquake were not sufficiently addressed. 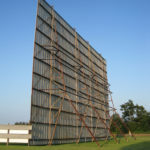 Owing largely to its longevity thus far, a monitoring regimen was recommended in lieu of immediate repairs. I’m having trouble understanding the role of the herringbone brickwork. How, exactly, did the vertical courses lock in the horizontal courses? 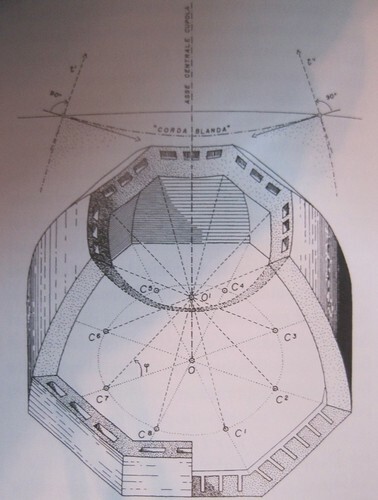 Was the horizontal space between vertical courses narrower at the inside of the dome than at the outside? I can see how an arrangement like that would lock things in, but (as far as I can tell) it doesn’t look like that is happening. And anyway, how was such a narrowing (if in fact that is the technique that was used) accomplished? Thanks for commenting. Brunelleschi’s herringbone pattern is a little different from the conventional (and typically decorative) pattern. It kind of zig-zags up and around the dome. I’d love to see this demonstrated in a scale reproduction, because I too have difficulty visualizing the exact pattern. According to the literature the technique basically prevents an unraveling of the unshored brickwork. Very nice article. I’ve been investigating the Florence Duomo since a trip there last month. I’m also doing some FEA work, looking at the stresses and deflections, which I’ll post on the blog as work proceeds. Do you have a source for the graphics you posted? They are much better than anything else I’ve seen on the web (I’ve just ordered Brunelleschi’s Cupola btw. I also found a free copy of Brunelleschi’s Dome by Ross King at http://archive.org/details/texts, but I couldn’t find it there today, but it’s available for next to nothing elsewhere).